Chester (formerly Big Meadows) is a census-designated place (CDP) in Plumas County, California, United States. 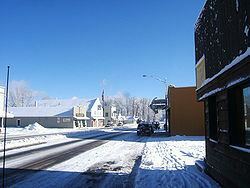 Chester is located on Lake Almanor, 30 miles (48.3 km) north-northwest of Quincy. The town is located along State Route 36. The US Postal Service ZIP code for the community is 96020. The population was 2,144 at the 2010 census, down from 2,316 at the 2000 census. The primary industries in Chester are lumber production and tourism. Chester serves as the retail center for the Lake Almanor region of California, and derives a significant portion of its economy from the tourist trade, and to a lesser degree from construction to new residents and businesses. The town was founded and named by two settlers, one from Chester, Vermont, and another from Chester, Missouri. The Chester post office opened in 1894 and moved in 1908. Chester is located at 40°18′10″N 121°14′5″W (40.302395, -121.234672). According to the United States Census Bureau, the CDP has a total area of 10.1 km2 (3.9 sq mi). 18.9 km2 (7.3 sq mi) of it is land and 0.2 km2 (0.077 sq mi) of it (1.10%) is water. Chester is situated almost directly over the buried north end of the fault-block Sierra Nevada and the southernmost end of the volcanic Cascade Range. Chester has a transitional Csb/Dsb climate.